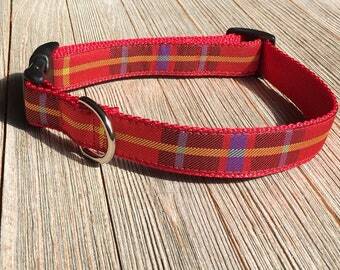 Buckle collar featuring a plaid sewn on a 1" red or black nylon webbing. 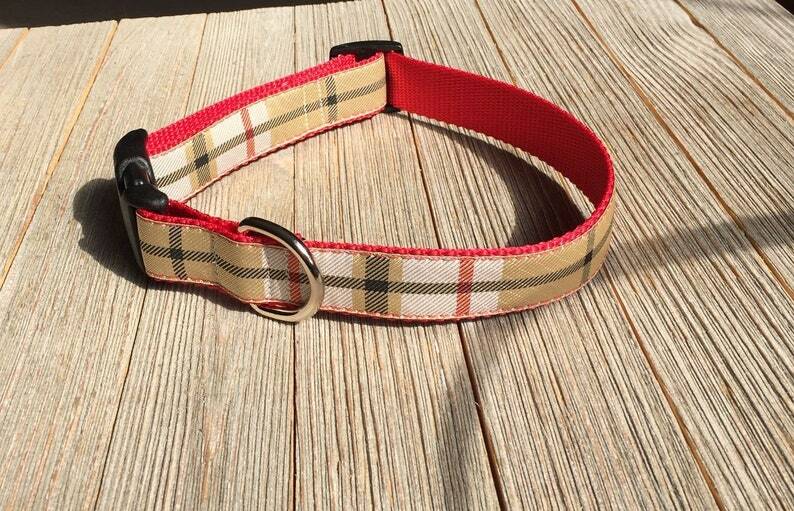 This collar looks great when combined with a matching nylon leash. Please let me know which length you would like for the matching nylon leash and I will create a listing for it. 4' leash is $21.99, 5' is $22.99, 6' is $23.99 with a nickel snap.